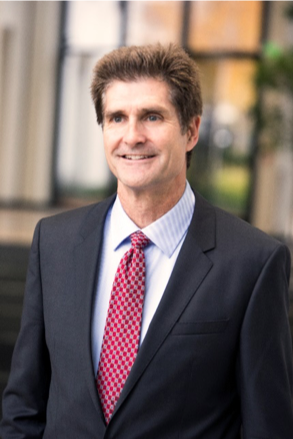 Carl Guardino, one of Silicon Valley’s most distinguished business and community leaders, is the President and CEO of the Silicon Valley Leadership Group, a public policy trade association that represents more than 350 of Silicon Valley’s most respected employers.In February 2007, Governor Arnold Schwarzenegger appointed Guardino to a four-year term on the California Transportation Commission. He was reappointed twice by Governor Jerry Brown, and in 2019, Governor Gavin Newsom appointed him to his fourth consecutive four-year term. In 2000, the San Jose Mercury News named Guardino one of the “Five Most Powerful” people in Silicon Valley, in a once-per-decade “Power Study.” He received similar recognition in 2010. Guardino has been the chief executive of the Leadership Group since January 1997. He previously served as vice president of the organization between 1991 and 1995. He also held an executive position in governmental affairs with Hewlett-Packard and he spent six years on the staff of Central Valley Assemblyman Rusty Areias, the last three as his chief assistant. His transportation leadership includes successful management of ballot Measures A & B in 1996 that funded 19 key road and rail improvements with $1.4 billion; and co-managed a 2000 traffic relief initiative that will generate some $7.5 billion in local funds to bring BART to Santa Clara County, improve CalTrain and other transit improvements. In 2008, Guardino managed the successful Measure B (BART) campaign which earned nearly 67 percent voter approval. It authorized a 1/8-cent sales tax for 30 years to fund a 16-mile Santa Clara County BART extension. Guardino led a 3-year effort that culminated in “Measure B” on the November, 2016 ballot, which will generate an additional $6.5 billion in local funds for traffic relief improvements. Measure B passed with 71.74 percent of the vote. Most recently, in June of 2018, Guardino co-led the Bay Area’s first 9-County transportation measure – Regional Measure 3 – which will generate $4.5 Billion in its first 25 years. As a housing advocate, he co-created the Housing Trust Silicon Valley, which has helped 30,000 people afford homes in high-cost Silicon Valley by raising more than $250 million in voluntary contributions. He also co-managed Prop. 46, the statewide Housing Bond, in 2002, co-chaired Prop. 1-C, the November 2006 statewide Housing Bond, and, most recently, co-led Propositions 1 and 2 on the November, 2018 ballot, generating $6 billion for affordable housing. Guardino is the founder and race director of the annual Thanksgiving Day Applied Materials “Silicon Valley Turkey Trot,” which has nearly 25,000 participants. In 14 years, it has raised nearly $9 million for local charities. He is also the founder of the Google “Santa Run Silicon Valley” to benefit Christmas in the Park, and the Lam Research “Heart & Soles 5K” to place salad bars in Silicon Valley public schools. Guardino also is on the boards of California Stewardship Network and the California League of Conservation Voters. Carl is married to Leslee Guardino. In their spare time, they compete in marathons, triathlons and duathlons. They have two daughters, Jessica and Siena, and one son, Jake.